The Ghent Service Jam is part of the Global Service Jam. It’s all about creative problem solving and co-creating new service concepts in just 48 hours. The emphasis is on doing rather than thinking. 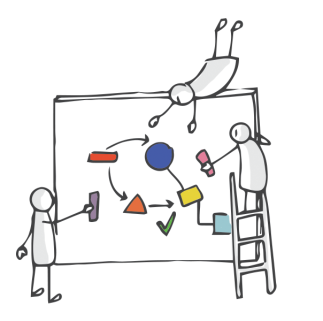 As a jammer, you will learn and experience the service design process, methods and tools in just one weekend. We will guide you in teams to create and prototype your ideas. We will also organise 20-minute talks. Belgian service design experts will enlighten you with tips and tricks from their years of working experience. At the end of the weekend every team will have the chance to pitch their concept to a jury and receive feedback by professional design practitioners.